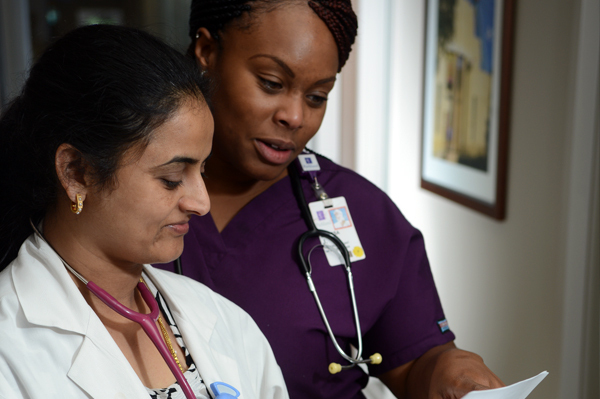 At Parkland, we are committed to the care of our patients. We set ourselves apart not only by offering the most skilled health professionals and cutting-edge medical technologies and equipment available, but also by our dedication and compassion toward those we serve. We take a comprehensive approach to health care. This means that as a Parkland patient, you will be guided through every stage of your medical journey, including recovery, therapy, support and education. Parkland’s medical staff is recognized as leaders in their fields. These medical experts provide specialized care to meet each patient’s personal health care needs. From the most complex surgical procedures to basic checkups, Parkland’s patient care services were created with you in mind. Effective nurse staffing can significantly improve patient safety and patient satisfaction. Parkland has an established Staffing Effectiveness Committee that meets all requirements as established in Texas Senate Bill 476. Parkland nursing leadership implements a staffing process which incorporates unit specific patient care needs, patient acuity, workload data, skill mix, nursing staff competency and appropriate nursing specialty organization recommendations and guidelines in order to determine staff assignments. This process also allows for representation and participation at the staff nurse level to ensure their practice meets the expectations of the Texas Nurse Practice Act.